When taking a trip to the East of London, we really could not leave out visiting this restaurant called FED by water which I have read about online. So Nick and me took a detour to Dalston in order to try some food here. FED by water is swearing on using purified water for all of their recipes to give their food a pure taste and feel. 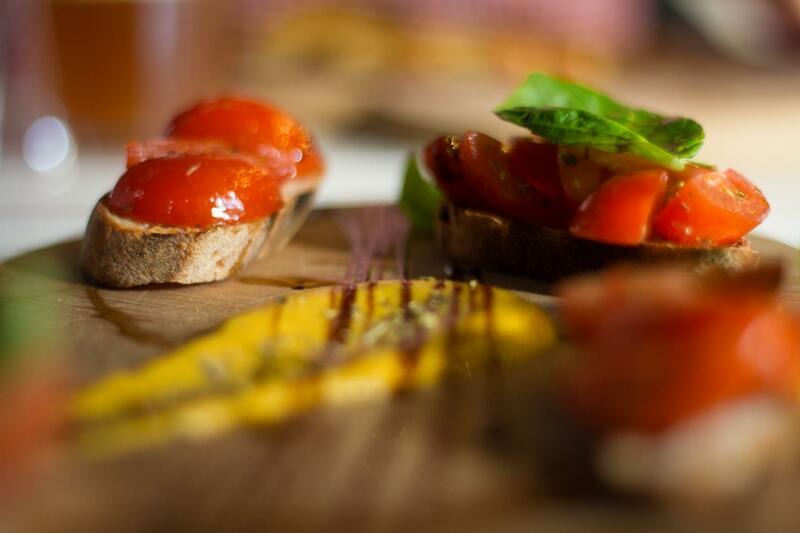 Their menu is mainly Italian cuisine with pizza, pasta and bruschetta starters. FED by water however, is not a purely plant based restaurant – they offer vegan as well as vegetarian and carnivore options, which makes it a great place to visit with non-vegan friends as no dietary request is left out here – and let’s be honest, we all know these carnivore friends that maybe don’t moan loudly, but they don’t really fancy going to all your ‘fancy vegan restaurants’ with you. FED offer all of their pizzas with vegan cheese option and their veggie pizza variety is intense! As you can see in my gallery below, we went for a Bruschetta starter (with this amazing mustard sauce to dip in!). Nick chose a Calzone style pizza as his main – as he is obsessed with Calzone. I chose a vegan ‘meat’ pizza with artichokes – artichokes are simply amazing, especially on pizza. We both have to say: the food was AMAZING and I think I finally found an authentic tasting Italian cuisine in London – which to be honest, was a long mission. During childhood I spent a lot of my summers in Italy and with all the great Italian restaurants around Germany (that are actually run by Italians), I got well accustomed to authentic Italian taste. Something that I have missed since moving to London in 2012. Having found FED by water, I am sure we will take more trips to the East of London more often. Sadly it’s not around the corner for us (which is probably better for my bank account), but it’s well worth the journey and we cannot wait to go back. If you are planning to visit over the weekend, make sure to book a table in advance as they can get particularly busy. Feel free to send me some snaps of what you have tried there! I can’t wait to dig into their menu further! Next Post Got to be German – Time for: Reibekuchen!